Plus shipping is FREE on orders of $50+ or opt for FREE store pickup! Protect your floors from potential damage with the CAP Barbell Puzzle Mat. This thick mat shields floors against scuffs, scrapes and dents from heavy exercise equipment, preventing dents and more. Its unique design allows you to expand it as needed, accommodating both open workout spaces as well as fitness equipment. 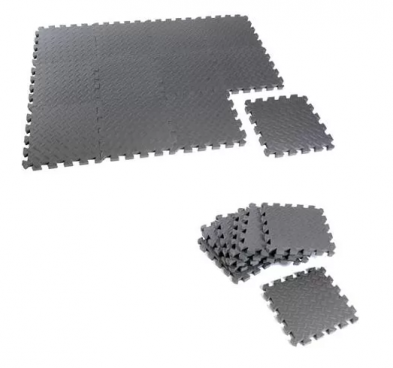 When fully assembled, the floor puzzle mat can cover an area large enough to accommodate an individual exercise machine.